Early in the new millennium the investment banks were on their knees. Beaten by the boom and bust of the dot.com bubble, mixed up in corporate scandals and accused of uncontrolled and rampant conflict of interest, the game seemed over for the masters of the universe. Then the bounce back came. New rules, promises to be more vigilant and rising markets took the heat off. Having learned their lesson and paid their dues, the investment banks could be relied upon to oil the wheels of capitalism in this best of all possible worlds. 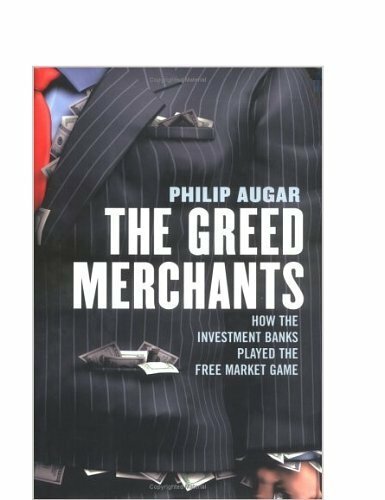 Philip Augar's cutting critique challenges this consensus. By being able to act simultaneously for buyers, sellers and themselves, they can generate huge returns at their customers' expense. This book explains how this systematic and legal transfer of wealth occurs and answers some important questions. Do the investment banks add value through their advice? Is there a cartel? Are there any alternatives? What will happen next?